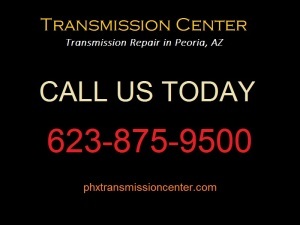 Have you ever heard horror stories about unethical transmission repair services? You don’t have to look too far until you find one. Let’s face it. Vehicles can’t run without a good transmission, and sometimes this vital part of the engine needs to be repaired. If a vehicle needs extensive work, it can be very expensive, unless you go with the right shop. If you are experiencing problems with your vehicle’s transmission, then you will need to hire the help of a qualified mechanic to diagnose and fix the problem. Mechanics will be able to test and service your vehicle to identify any problems that it may have. Mechanics can use a special car hoist to access different parts of the vehicle if it is necessary. They will be able to advise you on what areas will need work, and the approximate costs for doing the job before fixing the car. If you take your vehicle to a reputable, full service transmission repair shop, you may be offered a wide variety of options. Your knowledgeable vehicle technician can help you decide on the best solution for your problem after conducting a multi-point inspection service. Due to the daily wear and tear your vehicle receives on a daily basis that may have caused problems to the transmission, the transmission repair service you get from a reputable transmission shop will help it run more efficiently. The repair service will replace the worn out parts and the life of your vehicle will be extended. Although it may be more common to replace a transmission than to contact a transmission repair shop, you should know that the cost of a full replacement might be costly and it is only an expert who can do it better. A technician can tell you no matter what and you have no provable way of checking. So take your vehicle to a reputable full service repair center so you can get the service that is best for your car. Your auto center may recommend a rebuild that consists of a complete tear down of the transmission, an inspection of all parts, and replacing the needed parts.